and never even know we hold the key." I love wearing open weave sweaters with cut outs and chain details with ¾ sleeves like this on chilly Spring day. It makes me feel cozy but still open to embrace the warm weather. 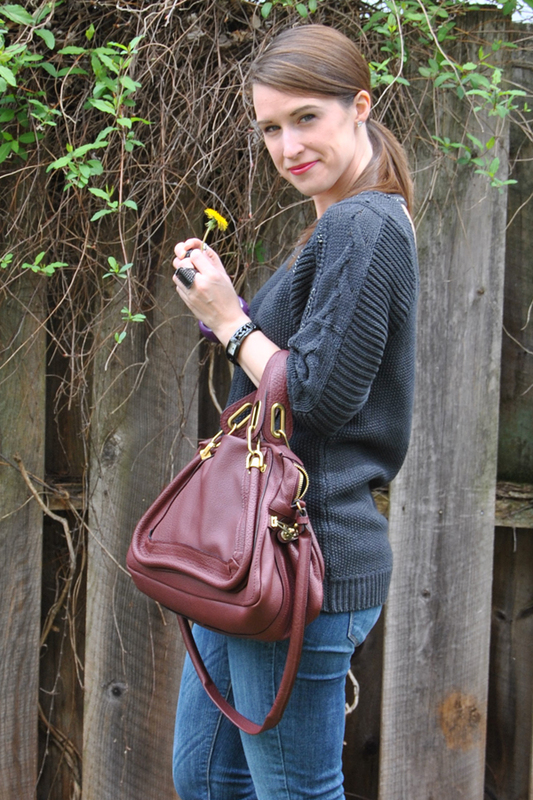 Adding a pop of color with lip color and my Chloe Paraty bag (borrowed from Bag Borrow or Steal) is essential when wearing a mute colored outfit. Can we talk about the lips? I've been trying to branch out and wear lipstick which I never do! I picked up the new Cover Girl Blast Flipstick in Perky (HERE) and have to say I'm sort of loving it. The color stays on all day and it does not dry out my lips. I had a heck of a time picking out the perfect color but Cover Girl has a color quiz that helped me find a good shade...as least I think it's a good shade. What do you think? I love this sweater! So unique and stylish. I have this sweater and LOVE it too. Mine is a bit oversized though. Wish it fot like this but still enjoy wearing it. I got it at kohls in 2010. 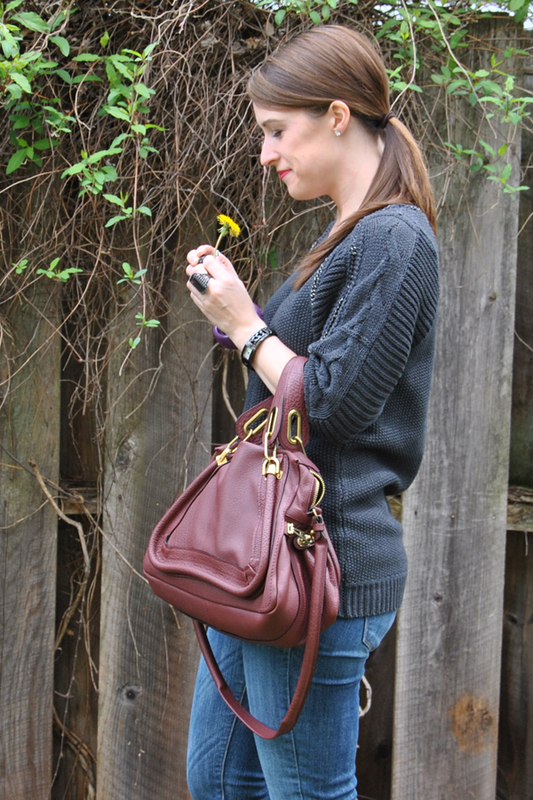 Such a cozy, yet chic sweater! Love the color and the details. But your bag is what really caught my eye. Chloe?! OMG - I'm speechless!